William SMART was born in the town of Moulton, Northamptonshire, England about 1805 and was baptised on 26 January 1806 in Moulton, Northamptonshire, England. His parents were William SMART and Sarah PAGE. William married Sarah WILLSON on 11 November 1830 at the St Peter and St Pauls Anglican Church in Moulton, Northamptonshire, England. Sarah WILLSON was born 28 August 1810 and was baptised 7 October 1810 in the town of Long Buckby, Northamptonshire, England. Her parents were William WILLSON and Elizabeth ?. More information on Sarah's background is available, however, as there is doubts over its accuaracy, it has not been included. Please enquire if you would like to know more. For most of their time in England, William and Sarah lived in or around the town of Crick, which is near the town of Moulton, in Northhampton. On the 1841 census, William and Sarah, with their first seven children, were at the Mount Pleasant Lodge. William's occupation was listed as Agricultural Labourer. 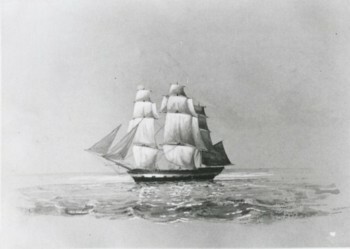 On the 4th of September 1850, William and Sarah, with all twelve children, departed England from Gravesend on the ship Randolph, arriving in Lyttleton, New Zealand 16 December 1850. They had assitance with payment of their fares. On the voyage, Sarah was paid �00 as Matron. Horton also received �00 as assistant cook. William died in January 1853 and was buried in the Barbadoes Street Cemetery, Christchurch on 17 January. Complications from a milling accident at Papanui are believed to be connected to his death. 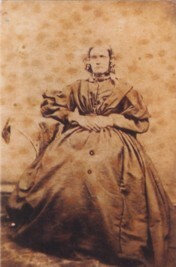 Sarah remained in Riccarton for a while but later moved out to Templeton with at least two of her sons, Amon and Enoch. She died there on 28 July 1873 and was buried in St Saviours Cemetery at the Templeton Church on 31 July 1873.